Today was the official opening for the Miami Beach Polo Cup on the beach. I was on hand for the horse parade down Collins Avenue. It was beautiful and odd to see these beautiful animals prancing down Collins Avenue. I highly recommend a visit to thie event for those that have never experienced it. 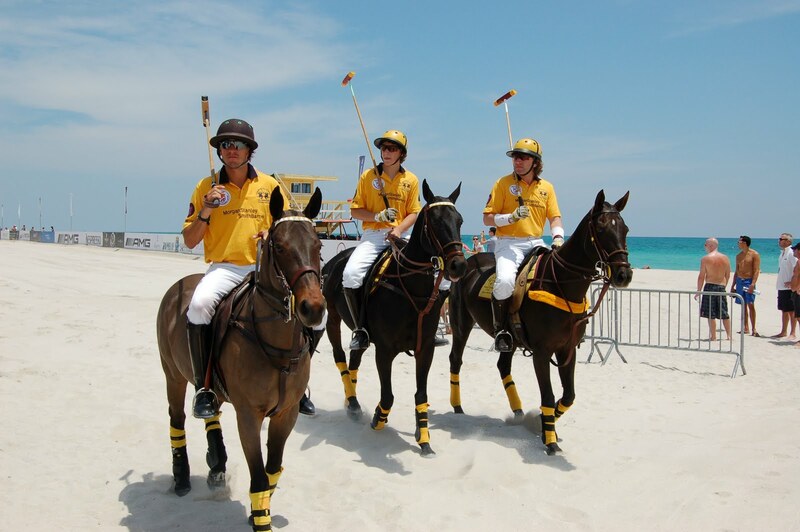 Gorgeous horses and polo players team together to play polo on the sand of the beach at 23rd Street behind the Setai Hotel. Check it out. Tonight is opening night for the Miami Gay & Lesbian Film Festival with the opening film I Killed My Mother. Ten days of great films, parties and events. Check it out: http://www.mglff.com/. For more information of the festival read my feature on www.MiamiArtZine.com.